The Lutheran Church—Missouri Synod accepts the Scriptures as the inspired and inerrant Word of God. We subscribe unconditionally to all the symbolical books of the Evangelical Lutheran Church as a true and unadulterated statement and exposition of the Word of God. 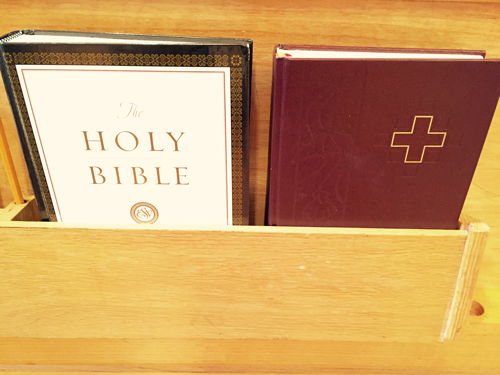 We accept the Confessions because they are drawn from the Word of God and on that account regard their doctrinal content as a true and binding exposition of Holy Scripture and as authoritative for all pastors, congregations and other rostered church workers of The Lutheran Church—Missouri Synod. These texts are in the public domain and may be copied and distributed freely. The source of these translations is Triglot Concordia: The Symbolical Books of the Evangelical Lutheran Church (St. Louis: Concordia Publishing House, 1921). Have more questions about the Lutheran Church? The official website of the Lutheran Church—Missiouri Synod maintains an excellent FAQ about Lutheransim. Lutheranism 101 is also a great resource for an introduction on Lutheran teachings. © 2019 Zion Lutheran Church. All rights reserved. Site created by McNary Marketing & Design LLC.